Dear Candidates, If you are looking for a job in the bank sector, then we have something for you. Recently State Bank of India releases vacancies for the post of Clerk, Probationary Officer, Specialist Officer etc. those candidates are interested in this job they can apply online from the official website. As we all know, lots of candidates are eagerly waiting for these posts. SBI Recruitment 2019 Application Form will available soon on the official website of SBI. The link is given on this page. candidates are suggested to check the SBI Complete 2019 Eligibility Criteria before applying for this recruitment. also, check the last date of submitting the application form. For more information about SBI Vacancy 2019 like eligibility criteria, Pay scale etc read the complete article carefully. Note- Today (11/02/2019) is the last date to apply for the post of specialist cadre officer. the direct link is available below check now. Candidate age should not be less than 21 years or not more than 30 years. A relaxation in the upper age limit is allowed for certain categories. A citizen of Bhutan/ Nepal/ Bangladesh is who have a valid certificate showing that they have the intention to permanently settle in India. A candidate must be having a graduation degree in any approved university. or Graduate in any subject from a government recognized institute and colleges. candidates can pay application fee through challan, debit card, credit card or any online payment option that is available in the payment mode. Later on, you have to click on the important links section. 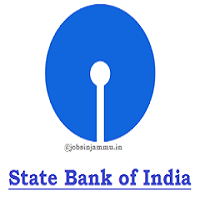 Then you must find the application link for SBI Clerk Recruitment 2019. On the opening of that link, you have filled all your required info in the given fields. Scan a passport sized photo and signature of yourself and attach with it. The next step is towards the payment of the application fee. You can easily pay the application fee by credit/debit card or net banking method. The SBI Recruitment Application Procedure comes to an end in this way. You must take a hard copy of the filled application form so as to remain with you. Final Words- Candidates are suggested to apply for SBI PO, Clerk Vacancy as soon as possible and visit our website for getting the latest update on time. also, you can share your queries related to this article in the comment section that is given at the bottom of this page. Thank you for reading this post, hope it is useful for all of the candidates.